Essendon Football Club extends its congratulations to Paralympics Australia in securing $12 million in funding from the Federal Government, ahead of the Tokyo 2020 Paralympic Games. Launching the new Paralympics Australia brand, Prime Minister Scott Morrison made the funding announcement in Sydney on Wednesday morning alongside Paralympics Australia president Jock O’Callaghan, and Essendon chief executive Xavier Campbell. As part of the funding, $4 million will be directed towards the construction of the Community, Education and Events Centre (CEEC) project at The Hangar in Tullamarine – the Victorian home base to Paralympics Australia and the Essendon Football Club. The new development, which will feature accessible accommodation and training facilities for Para-athletes and teams as well as a Paralympic museum, will be managed between the Bombers and Paralympics Australia. 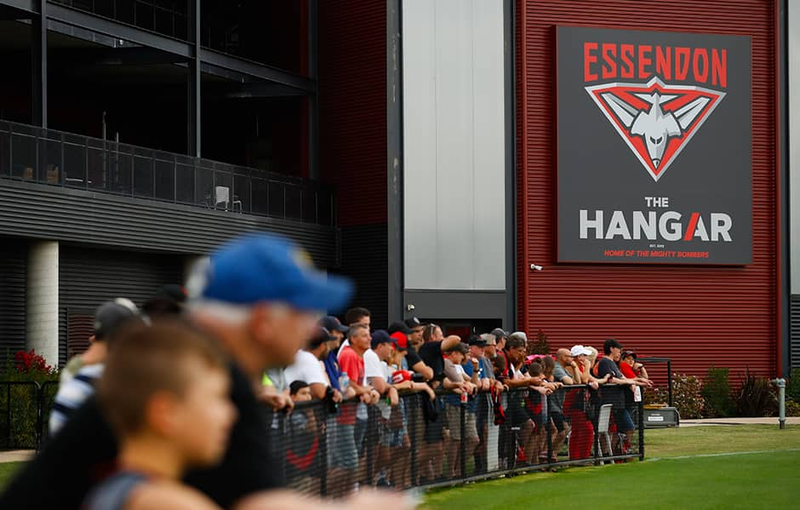 Formerly known as the Australian Paralympic Committee, Paralympics Australia’s partnership with the Essendon Football Club commenced in 2013 with the development of The Hangar at Tullamarine. Prime Minister Morrison said: “This new investment from the Federal Government will assist with the significant costs associated with delivering an Australian team of this size and complexity to the world’s premier event for athletes with a disability. It also recognises the Australian Paralympic Team’s unique and burgeoning place within Australian sport and the value it brings to the Australian people." Essendon chief executive Xavier Campbell welcomed the Federal Government’s commitment of $4 million to support the second stage of the multi-purpose expansion of The Hangar. “We are incredibly proud of our partnership with Paralympics Australia, an enduring relationship that continues to go from strength-to-strength,” Campbell said. The Community, Education and Events Centre project now has bipartisan Federal support and EFC is working closely with the State Government to bring the CEEC to fruition.